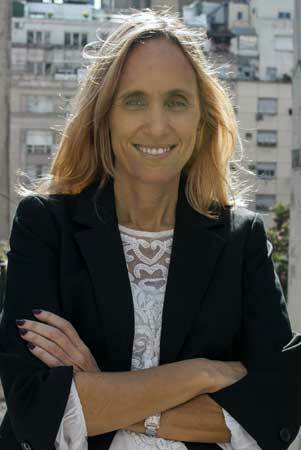 Global Banking & Finance Review interviewed Paula Premrou, CEO of Portfolio Personal to out find out more about the investment landscape in Argentina and the investment services Portfolio Personal has to offer. How is the current political climate effecting the financial markets in Argentina? The argentine financial assets showed one of the best performances in 2014, and they go on leading the profitability rankings in the first months of this year. The perspective of a change in the economic and financial state of our country as from next December, with the arrival of a new president, has been the main reason for this positive trend. Investors believe that Argentina will normalize its relationship with foreign markets at any moment in 2016, and will no longer be considered a frontier country to become an emerging market again. Since August 2013, due to the opposition´s success in the legislative elections in the main districts, the demand for argentine assets has increased considerably. Why is Argentina still an attractive market to invest in? Within a global context of very low interest rates, the yield offered by the domestic fixed income instruments still looks appealing despite the sharp increases over the last year. Sovereign bonds offer yields in dollar terms which exceed an annual 8% of return for one to five year durations, thus doubling the return offered by of other countries in the region. The fundamentals are positive for the fixed income due to the fact that the indebtness level in foreign currency with the private sector has fallen sharply in the last years and the debt maturity scheduled will be cleared up after the Boden 2015 payment in October. The main risk is the conflict still pending with the holdouts which according to the market expectation should be solved with the upcoming administration. What distinguishes Portfolio Personal from other online brokers in Argentina? Portfolio Personal is a financial broker with more than 15 years in the Argentine market. We distinguish ourselves for the quality of our services, providing our clients with professional advice on the active management of their portfolios. Our senior commercial team, our research analysts and our online platform with the most complete offering of domestic and foreign assets, are the three pillars which give us an edge as one of the best brokers in the market. What services do you provide for retail clients? Through our trading platform our retail clients have access to all the asset offerings available in the domestic market, as well as to the most complete Research data and reports which help them in their financial decisions. Our clients can trade Sovereign and Sub Sovereign Argentine Bonds, Corporate Bonds, Central Bank Notes, Financial Trusts, Mutual Funds, local and foreign equity in the Buenos Aires Stock Exchange and in the US market, and Currency and commodity futures in the Mercado a Término de Buenos Aires (ROFEX). Can you tell us more about your research department and the valuable information they provide? Our prestigious Research Department, which is composed of a highly skilled analysts team, provides daily, weekly and monthly information about the performance of the main financial and macroeconomic trends. We make regular reports on local and foreign context as well as specific reports of local companies and on investment trading opportunities. Many domestic and international media rely on our economists as a valuable source of information. For clients in need of active portfolio management what solutions do you offer? Our highly skilled commercial team has expertise in managing financial portfolios for clients of different profiles. Our main objective is to be able to take advantage of all the investment opportunities that the market offers in different contexts. We are specialists in sovereign and sub sovereign Argentine bond trading as well as in local equity and in the development of strategies of carry trade with currency and interest rates futures. Portfolio Personal has always been leader in technological innovations. You were the first site in the market area to offer the possibility to operate mutual funds in the local market, as well as offering operative Futures in real time. What advantage does this provide investors and do you have any new advancements coming out? Since its creation in 1999, Portfolio Personal has invested strongly in technology as this is considered the most important tool in the management of local investments. Offering real time information to our clients about their positions, enabling them to look at prices and to trade online at any moment of the day and from any devise, putting at their disposal all the research for their financial decision making has been one of our main missions. And we will go on in this way having as a short term objective the starting up of a new trading platform in the second half of 2015. This platform will have new functions and tools which will make our trading client´s experience much more efficient, agile and reliable.